The Kuding tree, Ilex kuding or Ilex latifolia, is a large and nowadays rare tropical tree in Hainan. 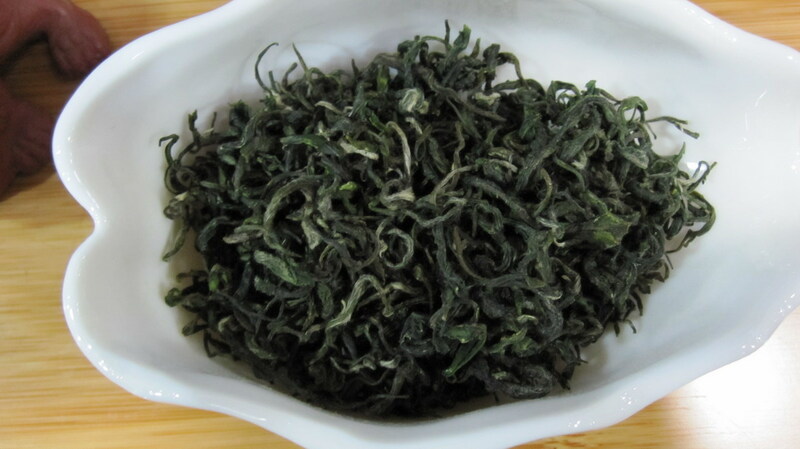 Its leaves are used for tea much like the Puer tea leaves. The tea, which has a bitter-sweet taste, is listed as valuable Chinese medicine as early as the Yuan, Ming, and Qing Dynasties for its beneficial effects to heart, brain, and stomach. In traditional Chinese medicine terms, it is used to disperse wind-heat, clear the head and the eyes, and resolve toxin, thus being used for common cold, rhinitis, itching eyes, red eyes, and headache. In addition, it is said to calm fidgets and alleviate thirst, especially when one is suffering from a disease that causes fever or severe diarrhea. It transforms phlegm and alleviates coughing, thus used in treating bronchitis. Finally, it is said to invigorate digestion and improve mental focus and memory. Modern research suggests that the herb, whether derived from Ilex or Ligustrum, promotes blood circulation, lowers blood pressure, and lowers blood lipids, including cholesterol. It has the reputation of preventing deterioration of the heart and brain function and maintaining proper body weight. 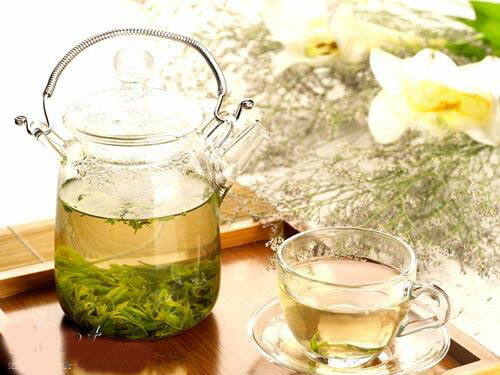 The main active components appear to be triterpene glycosides (saponins), which have been dubbed kudinosides and kudinlactones; it also contains polyphenols and flavonoids, somewhat like those found in ordinary tea. The experience of drinking the tea is somewhat unusual. The taste of the tea is a pure, distinctive bitter, which, at first, would seem to make it undesirable. But, there is also an underlying sweet taste, one which becomes pronounced once the bitter wears off, a moment after taking a sip of the tea. It doesn’t take too long to become accustomed to the taste and then find it attractive, in much the same way that coffee and other bitter drinks are desired. The strength of the tea can be adjusted to one’s liking. It takes only a few spikes, typically 3-5 of them, to make a pot of tea for one person; hot water can be added again to the leaves, even several times, to make more tea.